Will I Lose My Life Insurance Policy if I File for Bankruptcy? Life insurance policies provide peace of mind to millions of people around the country. Should you die, you want your family to be provided for. This concern is particularly intense if you are the main breadwinner in the family. By purchasing a life insurance policy, you guarantee a sum of money to your family in the event you die. However, any asset is potentially vulnerable in a bankruptcy proceeding. 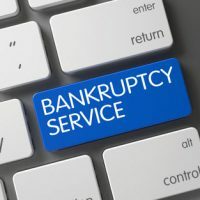 The purpose of bankruptcy is to wipe out your unsecured debts but only after taking non-exempt property and distributing it to your creditors. This is the give-and-take at the heart of bankruptcy. You don’t come out of bankruptcy rich. Instead, you wipe out unmanageable debts but only after losing assets to your creditors. Will you lose your life insurance policy? We receive this question often and are happy to report that you will not. Term life insurance. This policy will pay out a benefit when the insured dies. Until that point, the policy has no value. As you can see, with term life insurance, the policy has no value unless the insured dies. For this reason, it isn’t really an asset with any value, so there is nothing for the bankruptcy trustee to sell and distribute to your creditors. Things are different with whole life insurance. The trustee could, in theory, take the surrender cash value of the policy and give it to creditors. However, Florida debtors will be protected. The bankruptcy code allows every state to identify property that a debtor can exempt from the trustee when they file for bankruptcy. For example, Florida allows residents to exempt the full value of their home (provided they have lived in the state for long enough). When property is exempt, the debtor cannot lose it by filing for Chapter 7 bankruptcy. The cash surrender value of a life insurance policy is fully exempt in bankruptcy, Florida Statute § 222.14. Also, if you are receiving proceeds from a life insurance policy (whether whole or term), then those proceeds payable to a specific beneficiary are also exempt, Florida Statute § 222.13. The fact that these policies are exempt make them even more attractive to people engaging in estate planning for their families. No matter how much the policy is worth, you cannot lose any of the money if you file Chapter 7. Our firm fields many questions from the public, and many indebted consumers are worried about what they will lose if they file for bankruptcy. Please contact us. One of our Plantation bankruptcy attorneys at Nowack & Olson can meet with you to go over how a bankruptcy will affect your financial future. We can review assets and tell you whether they are exempt or not. For more information, please call us at 888-813-4737 or send us an online message.